Would it make up for what they say? Would you linger a while today? 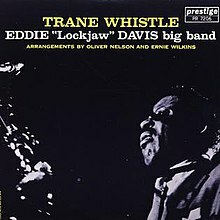 Trane Whistle is an album by saxophonist Eddie “Lockjaw” Davis‘ Big Band with arrangements by Oliver Nelson and Ernie Wilkins recorded in 1960 and released on the Prestige label. 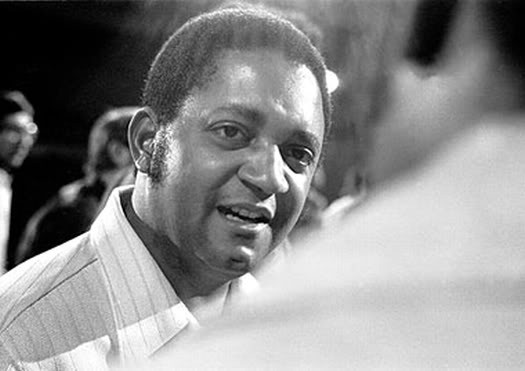 The Allmusic site awarded the album 4½ stars stating “Most significant is the inclusion of the original version of “Stolen Moments” (here called “The Stolen Moment” and predating the more famous Oliver Nelson recording by several months)”. 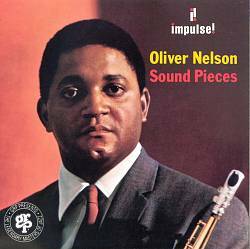 Oliver Nelson’s family was musical: his brother was also a saxophonist who played with Cootie Williams in the 1940s, and his sister sang and played piano. Nelson began learning to play the piano when he was six, and started on the saxophone at eleven. From 1947 he played in “territory” bands around Saint Louis, before joining the Louis Jordan big band from 1950 to 1951, playing alto saxophone and arranging. After military service in the Marines, Nelson returned to Missouri to study music composition and theory at Washington and Lincoln Universities, graduating in 1958. While back in his hometown of St. Louis, he met and married Eileen Mitchell; the couple had a son, Oliver Nelson Jr., but soon divorced. After graduation, Nelson married Audrey McEwen, a union which lasted until his death; they had a son, Nyles. Audrey was a native of St. Louis, Missouri. Nelson moved to New York, playing with Erskine Hawkins and Wild Bill Davis, and working as the house arranger for the Apollo Theater in Harlem. He also played on the West Coast briefly with the Louie Bellson big band in 1959, and in the same year began recording as leader with small groups. From 1960 to 1961 he played tenor saxophone with Quincy Jones, both in the U.S. and on tour in Europe. After six albums as leader between 1959 and 1961 for the Prestige label (with such musicians as Kenny Dorham, Johnny Hammond Smith, Eric Dolphy, Roy Haynes, King Curtis and Jimmy Forrest), Nelson’s big breakthrough came with The Blues and the Abstract Truth, on Impulse!, featuring the tune “Stolen Moments,” now considered a standard. This made his name as a composer and arranger, and he went on to record a number of big-band albums, as well as working as an arranger for Cannonball Adderley, Sonny Rollins, Eddie “Lockjaw” Davis, Johnny Hodges,Wes Montgomery, Buddy Rich, Jimmy Smith, Billy Taylor, Stanley Turrentine, Irene Reid, Gene Ammons and many others. He also led all-star big bands in various live performances between 1966 and 1975. Nelson continued to perform as a soloist during this period, though increasingly on soprano saxophone. In 1967, Nelson moved to Los Angeles. Apart from his big-band appearances (in Berlin, Montreux, New York, and Los Angeles), he toured West Africa with a small group. He also spent a great deal of time composing music for television (Ironside, Night Gallery, Columbo, The Six Million Dollar Man and Longstreet) and films (Death of a Gunfighter and he arranged Gato Barbieri’s music for Last Tango in Paris). He produced and arranged for pop stars such as Nancy Wilson, James Brown, the Temptations, and Diana Ross. Less well-known is the fact that Nelson composed several symphonic works, and was also deeply involved in jazz education, returning to his alma mater, Washington University, in the summer of 1969 to lead a five-week long clinic that also featured such guest performers as Phil Woods, Mel Lewis, Thad Jones, Sir Roland Hanna, and Ron Carter. Nelson died of a heart attack on 28 October 1975, aged 43. 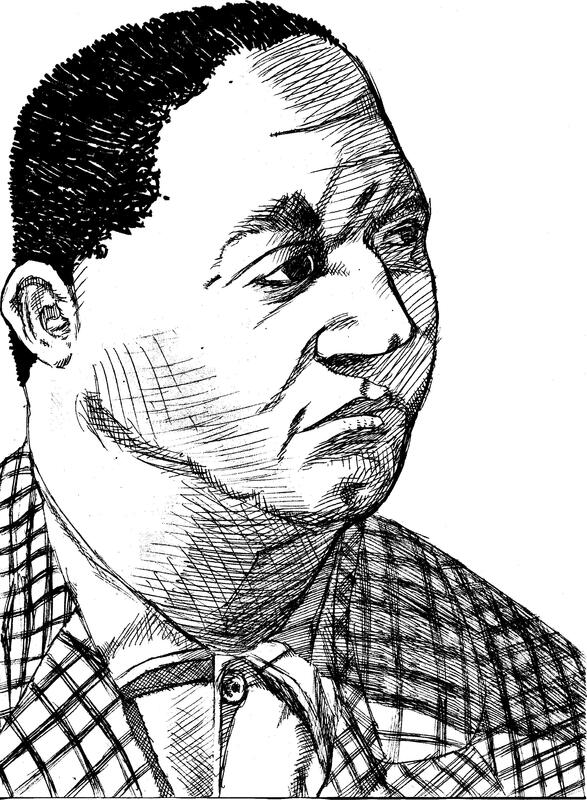 “Stolen Moments” is a jazz standard composed by Oliver Nelson. It is a sixteen-bar piece (in an eight-six-two pattern), though the solos are on a conventional minor key 12 bar blues structure. The piece first appeared as “The Stolen Moment” on the 1960 album Trane Whistle by Eddie “Lockjaw” Davis, which was largely written and co-arranged by Oliver Nelson. It was not marked out as anything special, in fact the covernotes only mention that the trumpet solo is by Bob Bryant and that Eric Dolphy’s bass clarinet can be heard briefly on the closing. However, in the liner notes to Eric Dolphy: The Complete Prestige Recordings, Bill Kirchner states that this incorrectly credits Dolphy with playing what’s actually the baritone saxophone of George Barrow, with Dolphy’s contribution to the piece being the 2nd alto behind Nelson. Its first well-known recording was the version on Nelson’s own 1961 album The Blues and the Abstract Truth. Nelson’s solo on this version contains “possibly the most famous” use of the augmented scale in jazz. Singer Mark Murphy wrote lyrics for his 1978 version. Oliver Nelson, himself, used the song as an album title (Inner City Records – IC 6008) in 1975. “Stolen Moments” has been recorded numerous times. In 1994 the title was used for a compilation album in the Red Hot AIDS Benefit Series, which helped popularize this and other jazz standards among a wider audience. 1988 by Frank Zappa on the album Broadway the Hard Way (trumpet solo by Walt Fowler); after the trumpet solo, Zappa invites Sting to sit in with the band, and he sings a unique, modified version of the Police song “Murder by Numbers” over the “Stolen Moments” vamp. The band finishes by returning to the Nelson melody. 1991 by New York Voices on the album Heart of Fire. Other artists that have recorded the piece: Ray Brown, Caribbean Jazz Project, Betty Carter, Sonny Criss, Joyce DiCamillo, Booker Ervin, Freddie Hubbard, Milt Jackson, J. J. Johnson, Quincy Jones, Oliver Lake, Andy LaVerne, Lorne Lofsky, Herbie Mann, Jon Mayer, Carmen McRae, One for All, Hilton Ruiz, Andy Summers, Bill Taylor, Turtle Island String Quartet, Sadao Watanabe,Grover Washington, Jr., Snakefinger, Avi Lebovich & The Orchestra, Soil & “Pimp” Sessions, Fancie, Brownman Ali.